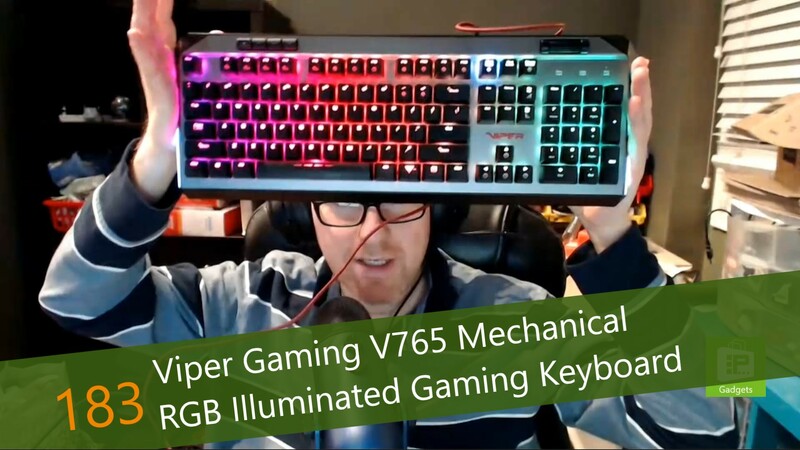 This week, Avram Piltch has a hands-on with a gaming keyboard he is currently reviewing for Tom's Hardware: the Viper Gaming V765 Mechanical Keyboard. This keyboard is designed for gamers, featuring a shorter actuation distance, making it easier to respond quickly while gaming. The switches are an uncommon white, which makes they click, but not require as much pressure to actuate. But it is also good for regular typing, as the keys put less pressure on your fingers, meaning you can type more and longer without fatigue. While he has not published the full interview, Avram is incredibly impressed with the keyboard, especially for the price.